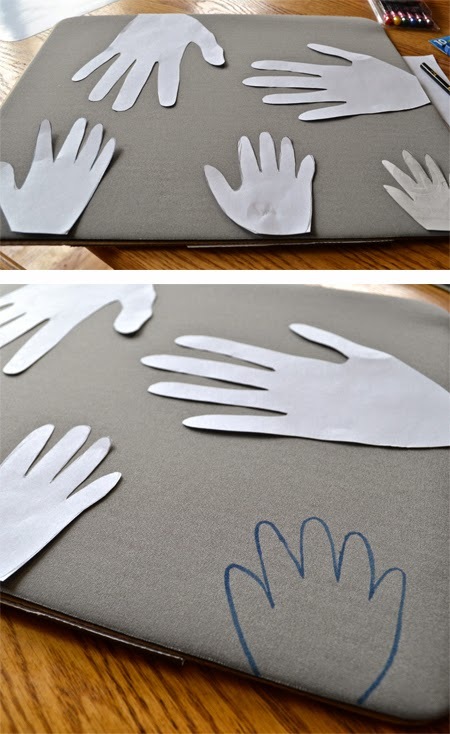 D and I already decided on a big gift for Father's Day, but I always like to give him something small and crafty from the kids as well. Here's what I did last year. This year, I noticed the lack of mouse pad on D's computer desk. So, I thought I'd buy a cheap pad to fill the need. 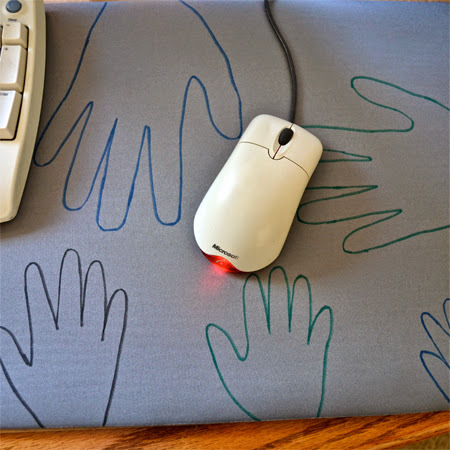 Then, I thought, why not decorate said mouse pad by tracing all of our hands? So, I did. And since he doesn't really read this blog, I figured I'd blog about it too. Awesome. 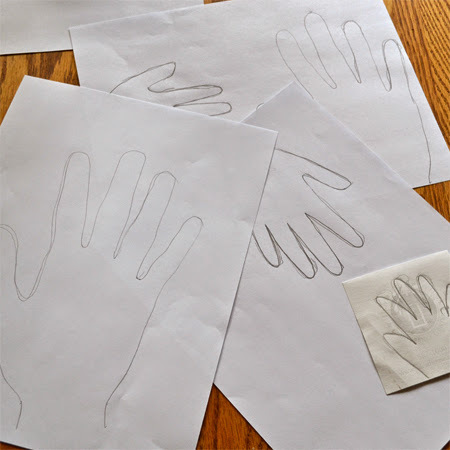 I started by tracing everyone's hands. I'm sure D thought it was mighty strange my stalking him for several days nagging him to let me trace his hand. By the way, it is next to impossible tracing a 7 week old's hand. Just in case you were wondering. If you must do it, definitely wait until they are very asleep and even then, trace as quickly as possible. 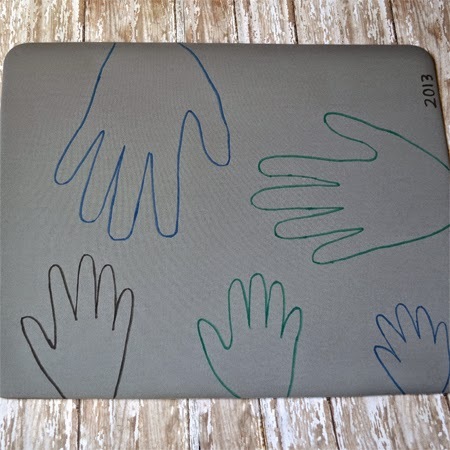 I cut out the hand tracings and then traced those with some fabric pens. I got an extra large pad, so there was plenty of room. I think it will look nice when he is using it. Plus, it's always a nice reminder of how small those hands were once. Simple and useful, that makes a good gift in my book. I hope he likes it.